Recently, a friend of mine showed me her C-Section scar and I was pretty surprised: It was a tiny horizontal slit that was about the length of her hand. 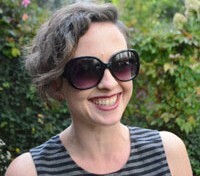 In fact, the incision only needs to be big enough for a baby’s head to fit through, so the average C-Section scar is about five-inches long, says Lana Selitsky, DO, an ob-gyn in private practice at Midtown Obstetrics and Gynecology, in New York City. Occasionally, a larger incision has to be made — say, if the baby is especially large or the mom has scar tissue from a previous surgery. Doctors cut about two centimeters above the pubic bone, horizontally, for both cosmetic purposes (it’s easily hidden under a bikini bottom, for example), as well as easier healing for the patient, she adds. 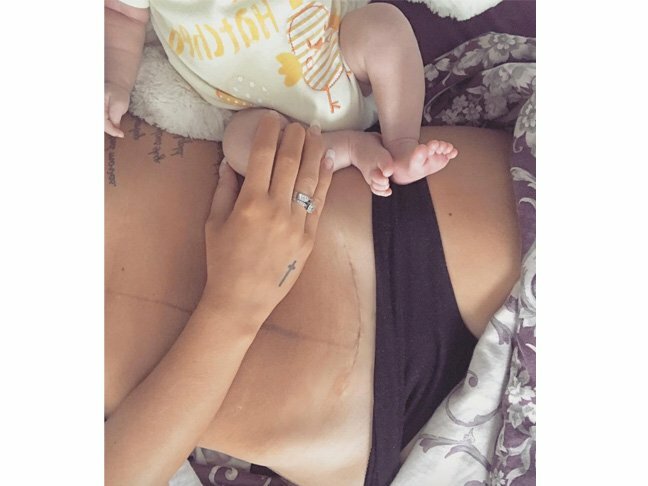 Scars after a C-Section are unique. “We close everybody the same way, but everyone heals differently,” Dr. Selitsky explains. According to the Center for Disease Control, nearly 1 in 3 women in the United States deliver their babies via C-Section, for many different reasons (from delivering multiples to delivering a baby in a breech position). If you’re about to deliver a baby and it’s possible that you may have a C-Section, knowing what to expect afterwards can be comforting. (And, OK: Even if you’ve already had a C-Section it is sort of fascinating to compare your scar to others.) So, we’ve rounded up a collection of C-Section scar pictures to give you a sense of what it looks like after you’ve had a C-Section, with photos taken a few weeks to a few years post-birth. They’re all different, but they’re all beautiful. After all, every scar symbolizes the birth of a new baby (or more!). 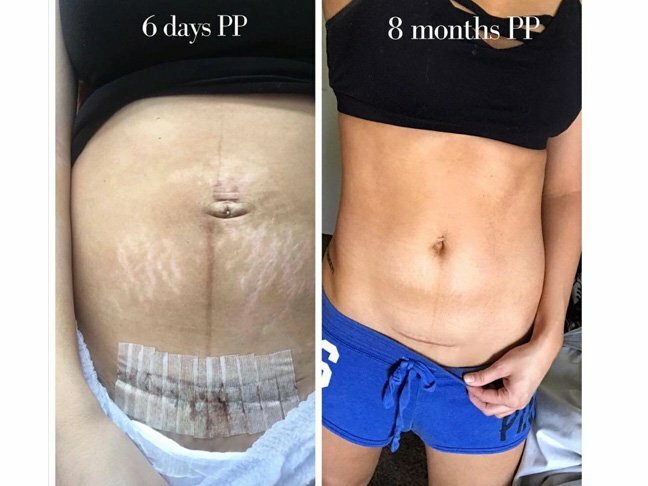 The blogger behind The Ruth Lee Diary shares the journey of her C-Section recovery, from six days post-op (left) to eight months postpartum. This mother describes her third C-Section in aching detail on Instagram, closing with, “Sacrificing oneself for another is not fair. 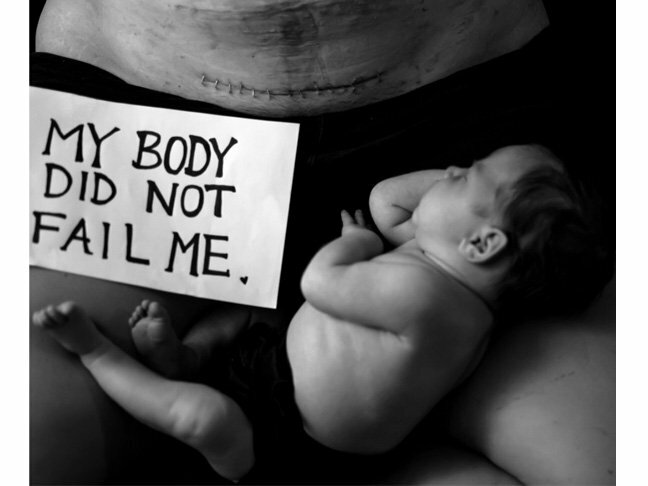 But it is beautiful.” The photo is also part of The Honest Body Project by Natalie McCain. 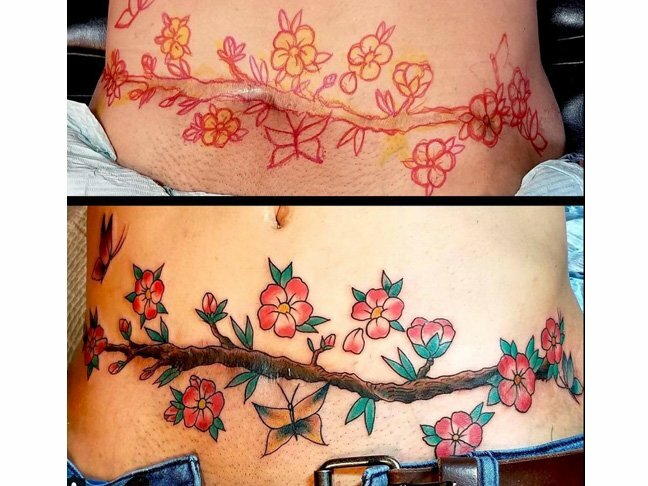 A talented tattoo artist turned one mom’s C-Section scar into something else beautiful: a flowering vine. A C-Section mama snuggles with her baby. She captioned the Instagram snap with, “Women’s bodies are incredible.” She’s right! Pregnancy Workouts: Videos Of Amazing (And Easy) Pregnancy ExercisesHospital Bag Checklist: What Do You Really Need to Pack?